In the Better Off Dancin’ performances, the Crested Butte School of Dance dancers bring a fresh breath of air into spring, raging choreography that is unique and captivating. Don’t miss this chance: May 17 at 6 p.m. and May 18 and 19 at 7 p.m. Go to dancecrestedbutte.org for tickets. Lyrical, jazz funk, tap, hip-hop, ballet, and aerial dance are some of the many flavors these guys and gals, grades six to adult, will use to express themselves. Say a final farewell to our high school seniors and celebrate our community of dance, attend this sharing of passion, talent, dedication and love. The Gunnison Arts Center is currently seeking actors and actresses to fulfill two roles for a delightful comedy, Comedy Is Hard, that explores themes of relationships, the performers hunger for recognition, and the challenges of growing old, with a script that is both intensely funny and deeply touching. 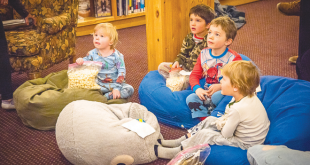 If interested in taking part, you may audition at the Gunnison Arts Center on May 22 or May 23 between 6 and 8 p.m. No advance preparation for this audition is required. Participants will be asked to read various characters in short scenes from the play. There are several characters in the play that are elderly. More “mature” actors, people who have not acted for some time or maybe never acted before—all are welcome and encouraged to audition. The play was written by Mike Reiss (The Simpsons, The Critic) and will be directed by William Spicer. Production dates are July 19-21 and July 26-28. Gunnison Valley Health announces visiting specialist Dr. Robert E. Replogle from St. Mary’s Medical Center. Dr. Replogle specializes in treating diseases and disorders of the brain and spine, including general neurosurgery, cerebrovascular neurosurgery, interventional neuroradiology and neurosurgical spine surgery. He is certified by the American Board of Neurological Surgeons and has been practicing since 1999. 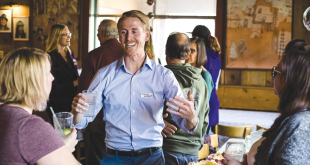 Dr. Replogle is available in the Specialty Clinic at Gunnison Valley Health on the third Tuesday of each month. To make an appointment, please call the Center for Brain & Spine Surgery at St. Mary’s Medical Center at (970) 298-3188. 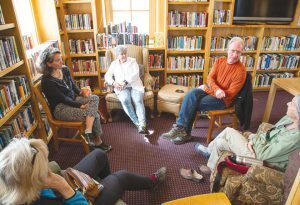 Join others at the Gunnison Arts Center for a session of short story writing, Saturday, May 26, from 11 a.m. to 3 p.m., with a 90-minute lunch break. There will be a presentation of the elements that contribute to successful short story writing, with handouts and exercises to prepare you, with instructor Enid Holden. Then the group will work on flash fiction items and break for lunch. Either enjoy lunch on your own time or join others next door at El Paraiso. The group will meet again to share and edit. You will leave with a final story and positive suggestions from your classmates.The fee is $35 per student and $30 for GAC members (lunch not included). CONGRATULATIONS: Allegra and Joseph welcomed their baby boy Odin Grey Wolff to their family on May 1, 2018. He weighed 5 lbs. 13 oz. 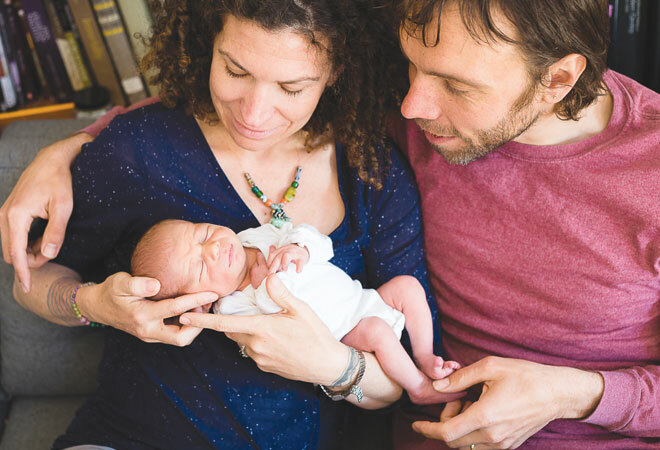 His grandparents are Gale Ebert, Richard Mynatt, and Katalin and Jon Wolff. Great-grandparents are Marvin Wolff and Magda Bujdoso. 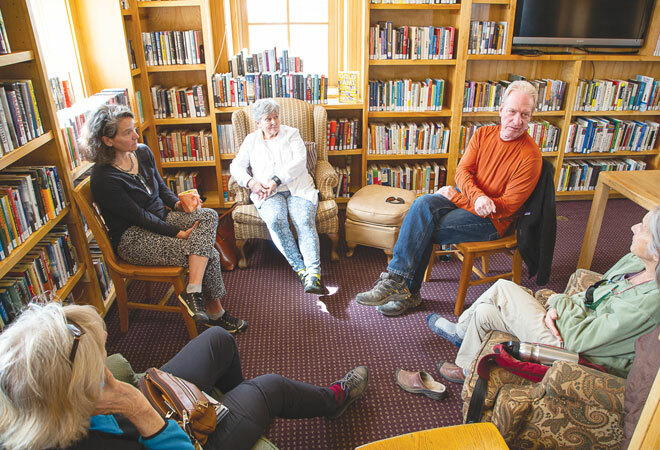 WHAT’S YOUR PHILOSOPHY: Socrates Café discussed “Would you want to be judged by your worst acts?” at the Crested Butte Old Rock Library on Tuesday, May 1. 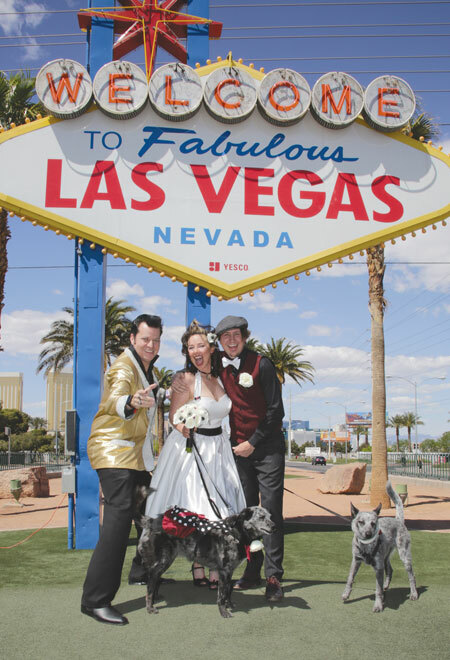 CONGRATULATIONS: Stefanie Reinhardt and Patrick Force were married on Friday, April 20th by Elvis! Their dogs Loki and Ronin were maid of honor and best man. Wedding party for all friends and family to be held August 4th, 2018 in Crested Butte. Cameos: If you were a mountain bike trail, which trail would you be and why? Timeline because it’s a real saucy trail for a real saucy lifestyle. 403 because it’s fast and fun! Doctors Park, nice climb, nice little bit of spice in there… I like Tabasco and that’s what it reminds me of. SPICY! The Dyke Trail, because it’s so flowy, because it’s uphill both ways, and because I left a piece of myself up there. Bike Park, because my soul is buried in one of the berms.